As a sign of the growing prosperity of the M65 corridor, there’s a new top drawer retailing destination on the Blackburn Services retail park that is the talk of the town. 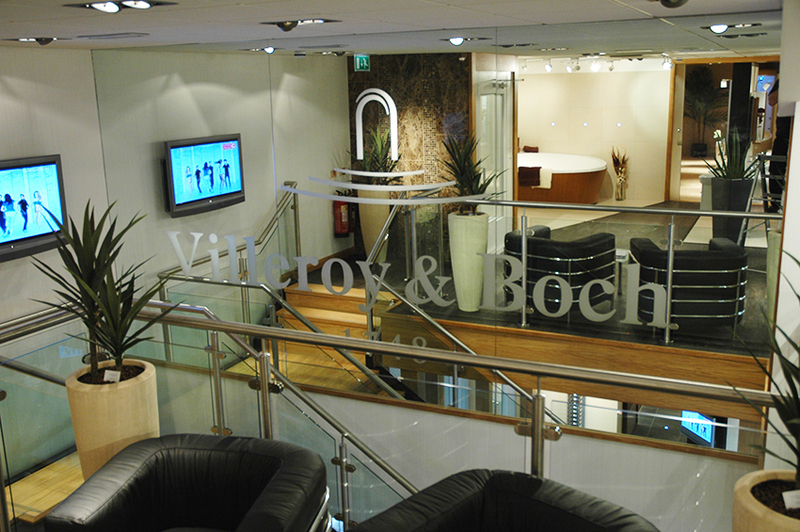 Selling exclusive Villeroy and Boch bathrooms; only usually displayed by exclusive city centre retailers. Luxury Bathe’s ‘Simply Villeroy and Boch’ showroom has made a huge splash in the area by opening one of the most innovative, highest quality bathroom retail outlets in the North West. The profile and top of market positioning of this German manufactured range demanded only the best in shopfitting to create the required standard of retailing environment. The range features many exclusive designs guaranteed to add grace and value to many discerning homes around the north west of England. To ensure they developed the correct shop window for this beautiful range, Luxury Bathe called in local company NSI Projects to deliver this retailing vision. The brief was challenging, with NSI asked to ensure their fit-out incorporated and complimented a wide range of bathroom displays that were specially imported from Germany. Cost control was also a key factor of the project delivery, with requirement to create “the look” but seeking economic methods of fit-out in the less critical customer areas. With extensive use of natural oak, stainless steel and innovative floor coverings, the results are quite stunning, with the project completed on time, on budget, and agreed by all concerned to deliver the required “WOW” factor from the minute you enter the door to be greeted by Luxury Bathes’ highly knowledgeable and attentive staff. The showroom opened in April, with sensational success from the start. Critically it forms a high quality anchor/destination site to ensure the continued growth and success of the South Blackburn Service Development Area.